In 2029, with the advance of cybernetic technology, the human body can be "augmented" or even completely replaced with cybernetic parts. Another significant achievement is the cyberbrain, a mechanical casing for the human brain that allows access to the Internet and other networks. An oft-mentioned term is "ghost", referring to the consciousness inhabiting the body (the "shell"). 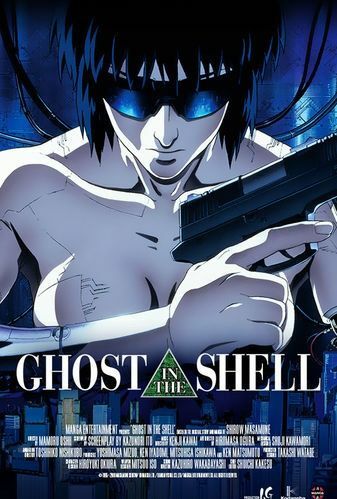 Major Motoko Kusanagi is an assault-team leader for the Public Security Section 9 of "New Port City" in Japan. Following a request from Nakamura, chief of Section 6, she successfully assassinates a diplomat of a foreign country to prevent a programmer named Daita from defecting. Read more on Wikipedia.